Affiliate marketing is one of the most popular ways to make money online. And with the growing success of the legalization movement, now is the time to become an affiliate marketer for the booming cannabis industry! Affiliate marketing is a kind of online advertising. Basically, bloggers and webmasters post banner ads and other links to online retailers. In exchange, they receive a commission on all sales referred by their site. The commission rate can be anywhere from 5% to 20%, and sometimes even higher! This is ideal for the cannabis industry in particular. Why? Because Google AdSense will not post ads on any site that encourages marijuana use. Which means that the main source of online revenue isn’t available to canna-businesses. 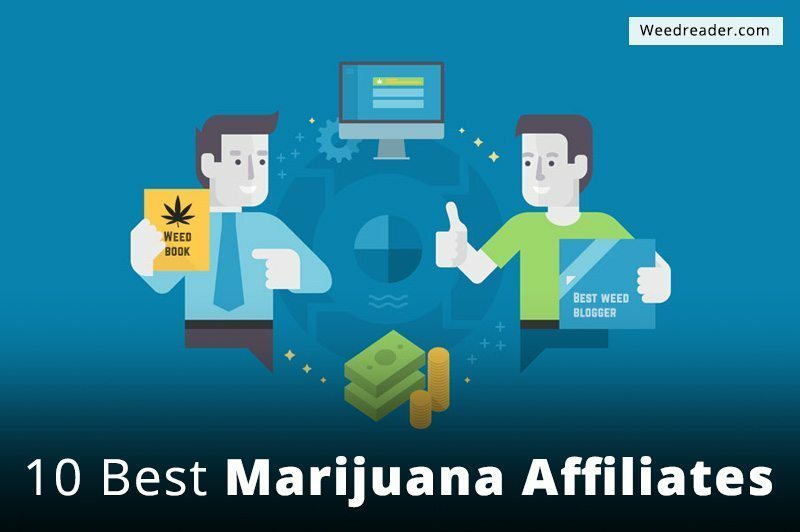 Affiliate marketing provides the perfect way for marijuana sites to support each other, so the cannabis industry can continue to thrive. My Weed Seeds will pay you 20% of all sales that you refer directly. Not only that, but you can also make a percentage of the sales from other affiliates that you referred to the program, and the ones they refer, and the ones they refer, and so on… It’s a 10-tiered system that has huge potential for the motivated marketer! This online seed retailer based in the Netherlands pays you a commission of 15% on all sales that you refer as an affiliate. The affiliate program from Cannabis Training University is another one that rewards the dedicated marketer. Here’s how it works: you make 30% from your first 3 sales, 40% on sales 4 – 7, and 50% on all sales after that! Crop King Seeds has one of the sharpest websites around, with an online store that sells much more than seeds — like T-shirts, collectibles, grinders and other accessories. And as an affiliate you earn a flat 20% rate on all sales you refer. The only downside: the $200 minimum payout is twice as high as most. Earn 15% of referred sales on a huge selection of vaporizers, glassware, scales, storage and cleaning supplies, and more. Plus, VaporNation gives you a $10 bonus just for signing up! The two-tiered affiliate program at Seedsman.com lets you earn 15% of all sales made through your site, as well as 5% of sales through your sub-affiliates. By posting a link to the FREE ebook, “The Marijuana Grow Bible,” you earn 20% of all seed and product sales from customers you refer. Dealzer.com offers a variety of grow supplies, like hydroponic boxes, grow tents, ventilation equipment and LED lights. As an affiliate, you can earn 15% of all sales referred by your site. Dr. Seeds is another online seed retailer with an excellent affiliate program. You can earn 15% commission on all sales you refer. Ryan Riley has put together a comprehensive grow guide, featuring both digital downloads and a hardcover book. By signing up as an affiliate, you can earn a whopping 57% of every sale you refer! You can look forever and not find a better commission rate than that. Great resource! Thanks For this. I work with VaporNation, payments like a Swiss watch. Cannabis Training University ended the Affiliate Program. isn’t the sale of seed totally illegal? even in the few states where it’s legal its very limited. if you are selling it online- coudn’t you get into a ton of trouble?